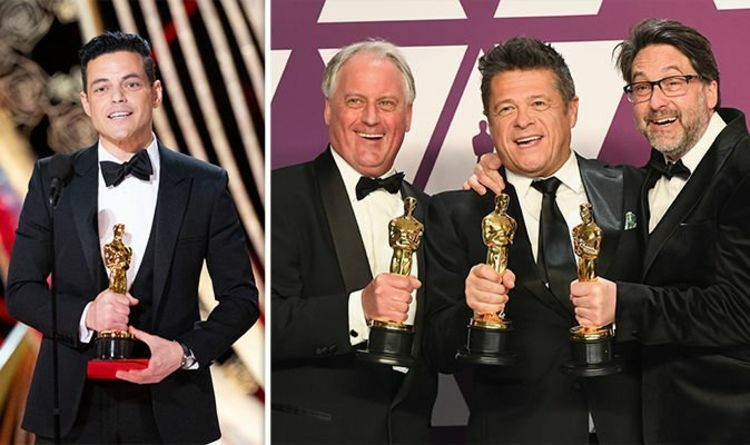 On February 24, 2019, the 91st Oscar Awards Ceremony was held in Los Angeles, USA. Although some negative news appeared before the award ceremony, it still could not cover the award ceremony and the starlight on the Oscar red carpet. This year’s biggest winner of Oscar was the film Bohemian Rhapsody, which won four awards including the best sound editing, best sound effects, best editing, and best actor. Luxury brands have always been vying for red carpet time, and the 91st Oscar Awards ceremony is no exception. Although tuxedos and dresses have received a lot of attention, the major Swiss watch brands are also vying for star’s wrists! 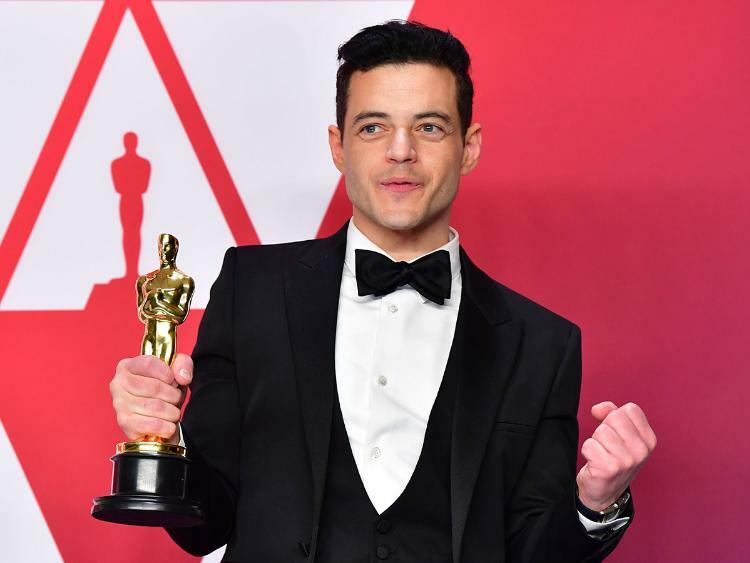 Rami Malek wins the 2019 Oscar for Best Actor thanks to his role as the legendary rock singer Freddie Mercury in Bohemian Rhapsody. 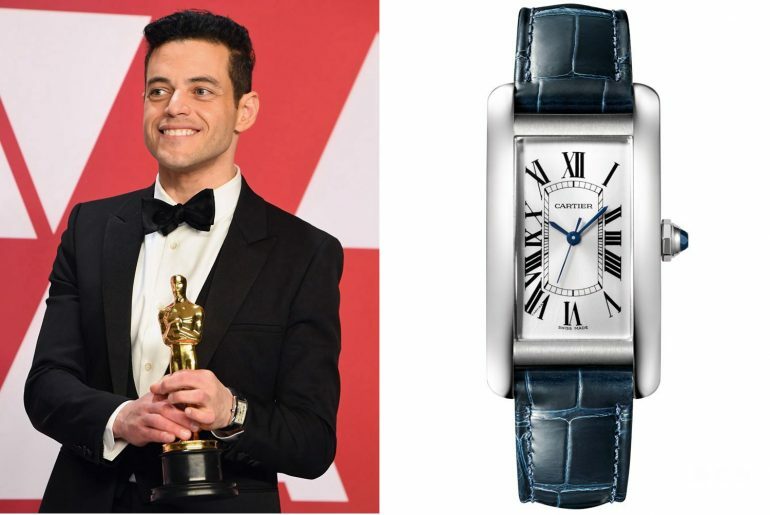 Today our topic is the Cartier watch that appeared on the red carpet show with this new movie king. 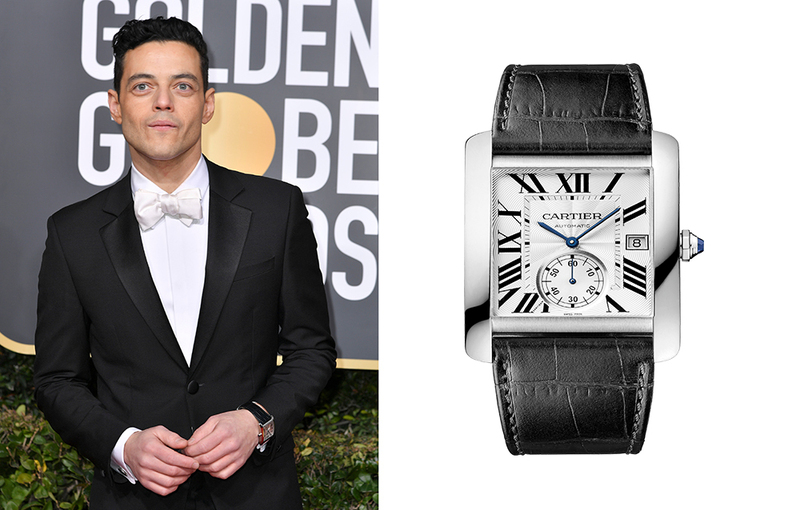 This Cartier watch, which appeared on the 2019 Oscar red carpet show, comes from the classic Tank Américaine collection, the official model is WSTA0018. The Cartier Tank Américaine watch was designed in 1987 and officially launched in 1989. Its curved case continues the design of the 1921 Tank Cintrée watch: the rectangular shape is more compact and the vertical lugs become more rounded. The extended lines and slightly curved shape make this watch vivid and enduring, and its design pays homage to the original Tank timepiece given to General Pershing. The Tank Américaine watch brings the craftsmanship and geometric aesthetics to the extreme, making handsome and elegant, straight and curved, round and corner blend together. It is also Cartier’s first waterproof watch with a curved case. 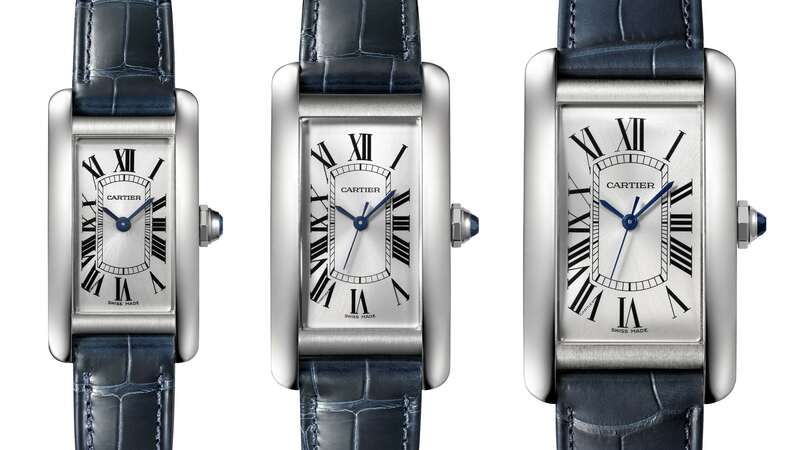 Moreover, this wide-bodied watch also features a folding clasp that allows the strap to be adjusted to the length according to the wrist, replacing the pin buckle design that Cartier has been using since 1910. Cartier Tank Américaine watch express the spirit of the original Tank watch in a simple, modern style. The simple lines become the highlights of the wrist, and the classic stainless steel material reflects the veritable modern style. 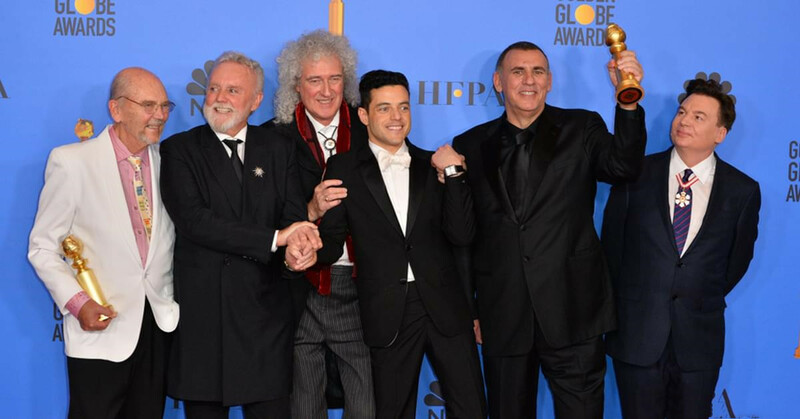 At the 76th Golden Globe Awards on January 6, 2019, Rami Malek’s biography of Freddie Mercury, Bohemian Rhapsody, defeated the movie a star is born created by Lady Gaga and Bradley Cooper, winning the best actor award in the drama category and the best movie in the drama category. To make his celebration night even grander, he wore a Cartier Tank MC in steel W5330003 ($6,750) watch to match his Cartier Double C cufflinks. This mechanical watch with self-winding features the iconic large Roman numeral, a rectangular case, and remarkable 1904-PS MC movement. Its classic three-needle shape makes the time on the red carpet so clear.